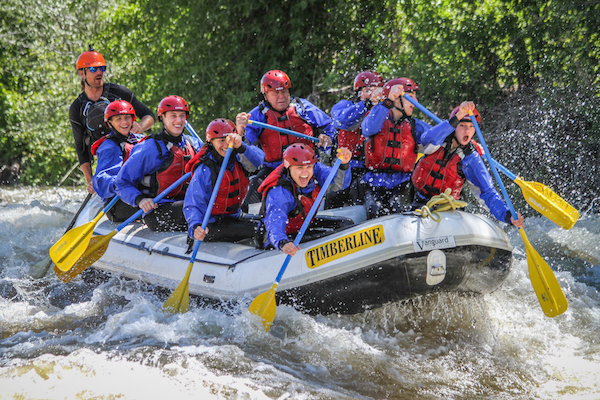 If you’re planning on whitewater rafting Colorado this summer, then make sure you add several Vail rafting trips to your itinerary. Mountains, rivers, wildlife, and adventure are the key elements that make these Colorado rivers worth seeking out, and on a rafting trip, you can experience it all while choosing a level that matches the abilities and interests of your group. The Eagle River is the home of our spring- to early-summer season guided whitewater rafting trips, Dowd Chute and the Lower Eagle. These sections are fed by snowmelt and are therefore at their best in May and June. Dowd Chute is a heart-pumping Class IV (advanced, high intensity) section of whitewater for those who are in excellent physical condition and looking for a trip with a lot of action. The Lower Eagle is a great Class III (moderate intensity, family-friendly) trip for those who like splashy whitewater with some calm sections between the rapids. On this river, you’ll experience the full beauty and adventure of Colorado’s scenic canyon country. The Upper Colorado River, a.k.a. the Upper C, has a long season and usually runs from May until October. 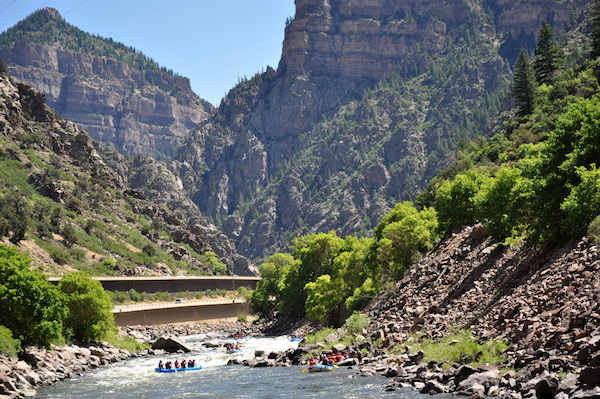 As a Class II trip (scenic, splashy float), the Upper Colorado is perfect for river lovers of all ages who like fun without too much intensity. For those who like things a bit more spicy, Shoshone is a Class III section of whitewater (moderate intensity, family-friendly) with a mile of continuous rapids followed by an incredibly scenic float through Glenwood Canyon that’ll make you want to put whitewater rafting Colorado on your calendar year after year. 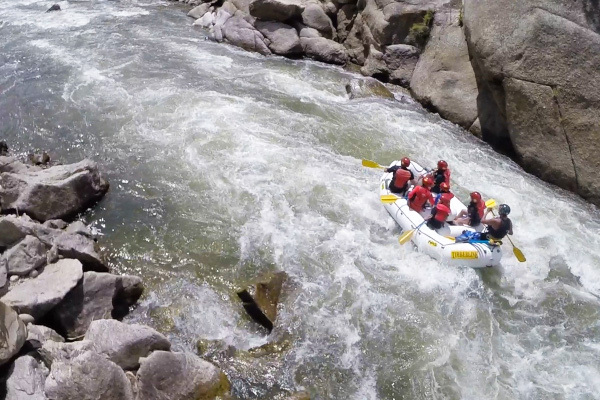 On the Arkansas River, a short drive away from Vail, you can have your pick of adrenaline, high-intensity, and family-friendly whitewater rafting adventures. Pine Creek includes Class IV and V- (advanced/expert, high intensity) sections of whitewater, great for those for those who are in excellent physical condition and looking for a high-activity, adrenaline-inducing trip with a lot of opportunities for strong paddling. Also on the Arkansas River, The Numbers, a Class IV (advanced, high intensity) section of whitewater has some of the best, most continuous rapids in the whitewater rafting Colorado repertoire. Finally, Brown’s Canyon is a good choice for adventurers of all ages who are looking to raft a Class III (moderate intensity, family-friendly) section of whitewater. If you’re whitewater rafting Colorado this summer, then these Vail rivers will give you plenty of exciting options, so plan a trip–or two, or three–today.